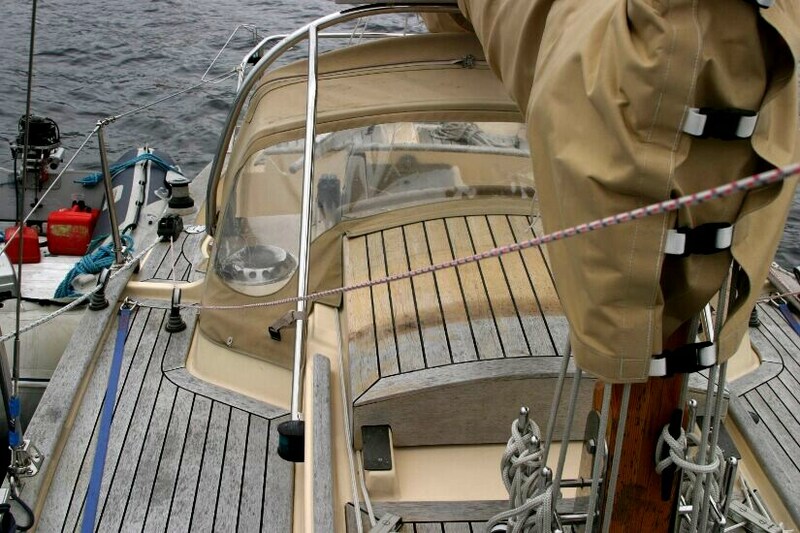 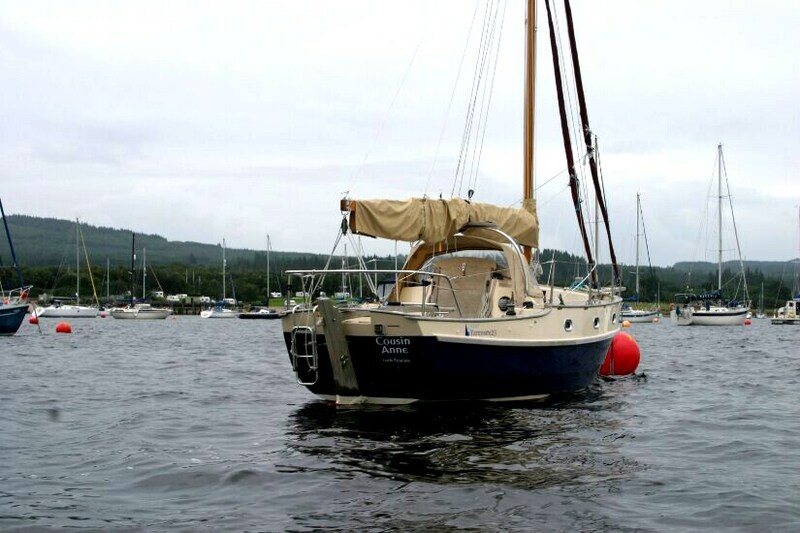 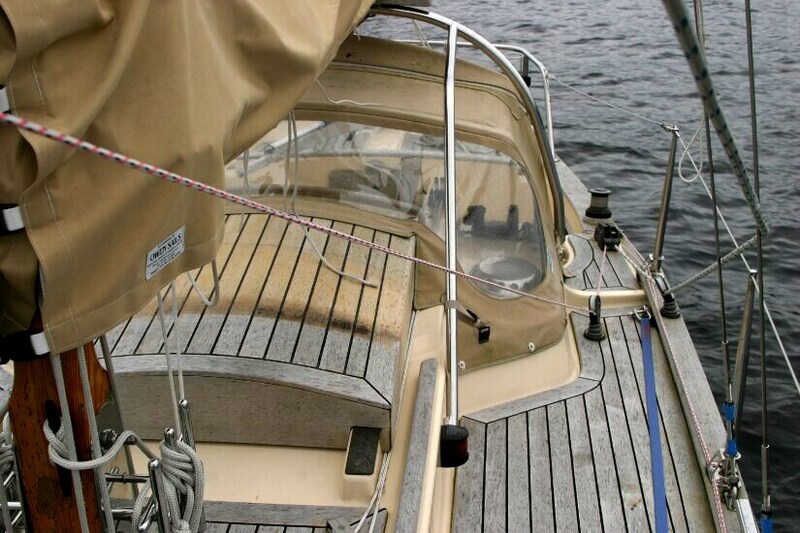 Now significantly reduced in price for a quick sale, the owners having purchased their new boat! 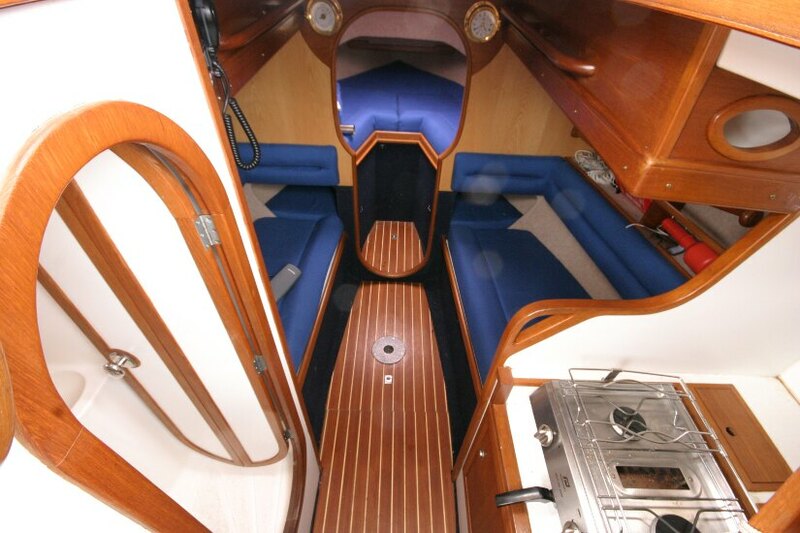 This is high quality pocket cruiser with outstanding sea-keeping and boat handling qualities, ideal cruising for a couple. 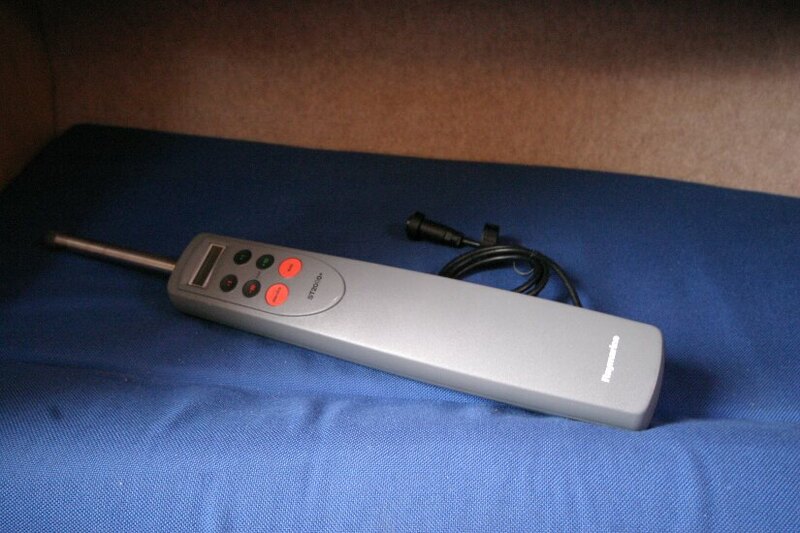 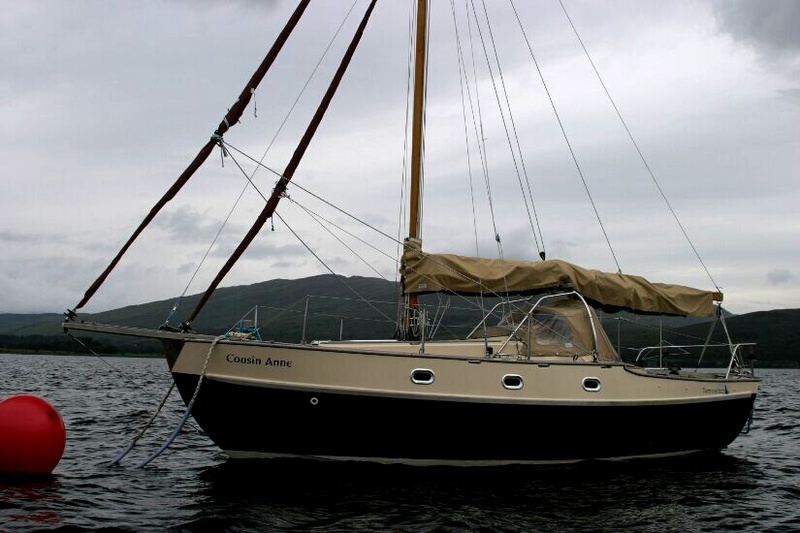 Very light use by a discerning owner, she is in nearly as new condition. 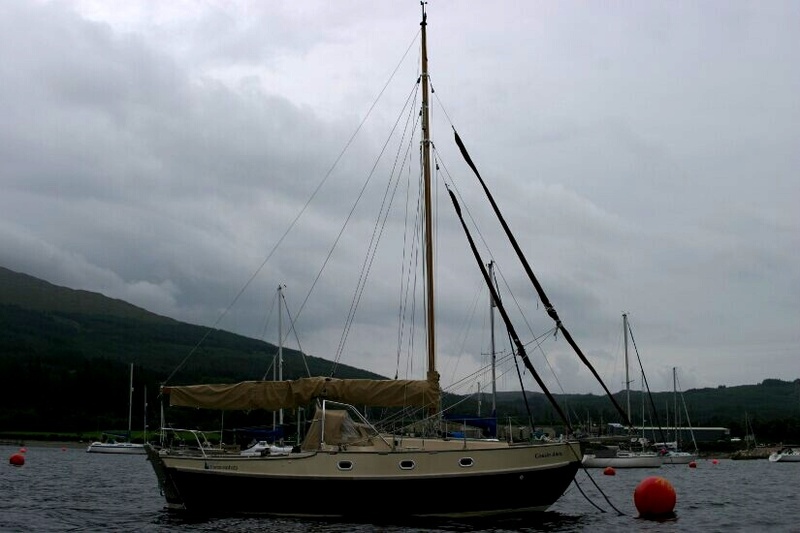 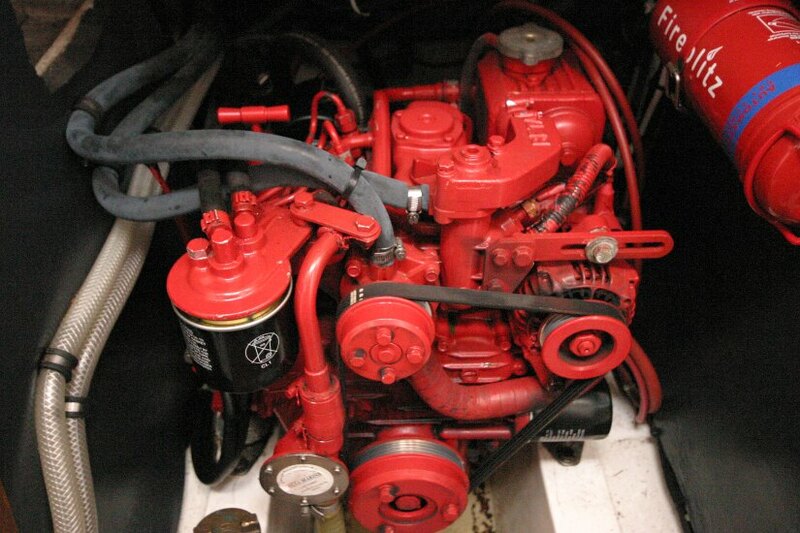 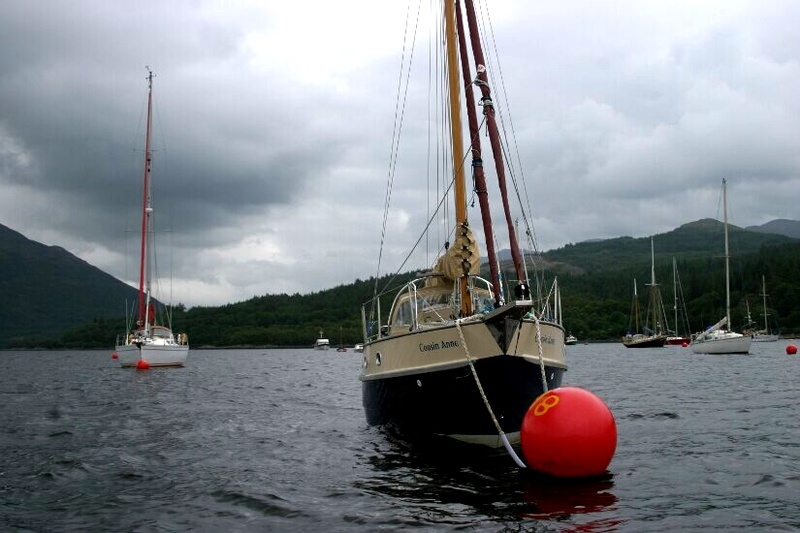 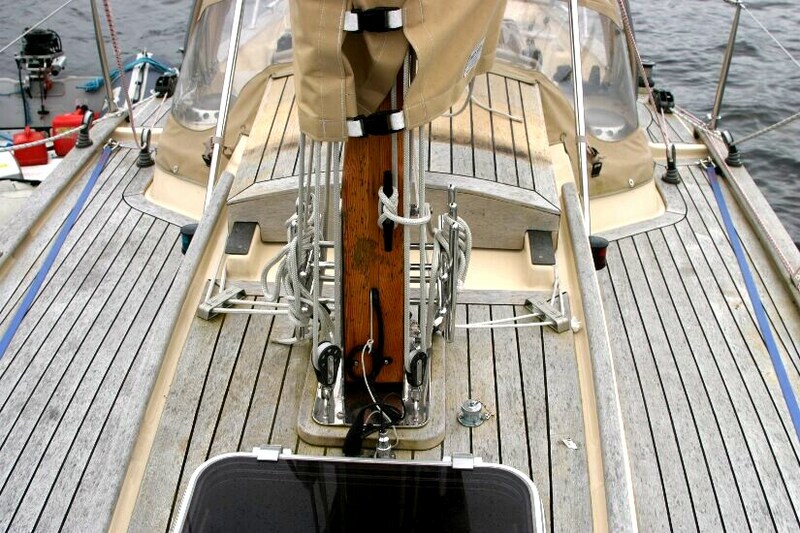 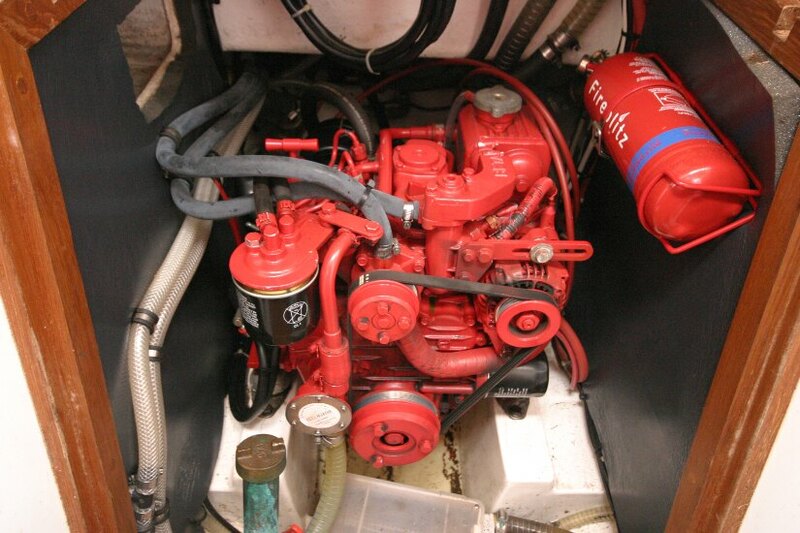 She has classic lines and a wonderful gaff cutter rig along with a superb Beta 13 HP two cylinder diesel engine. 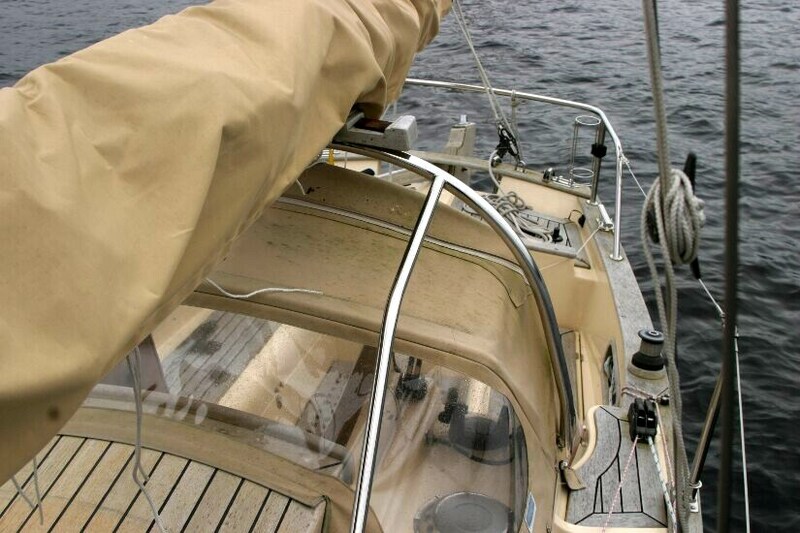 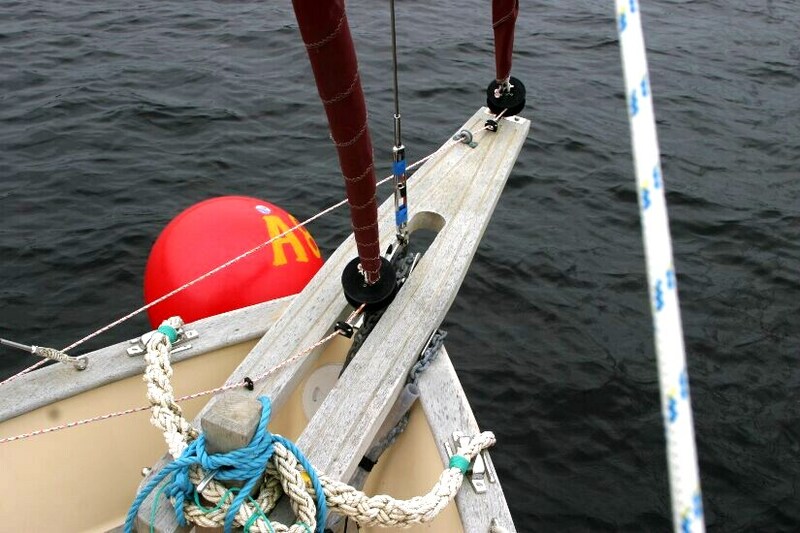 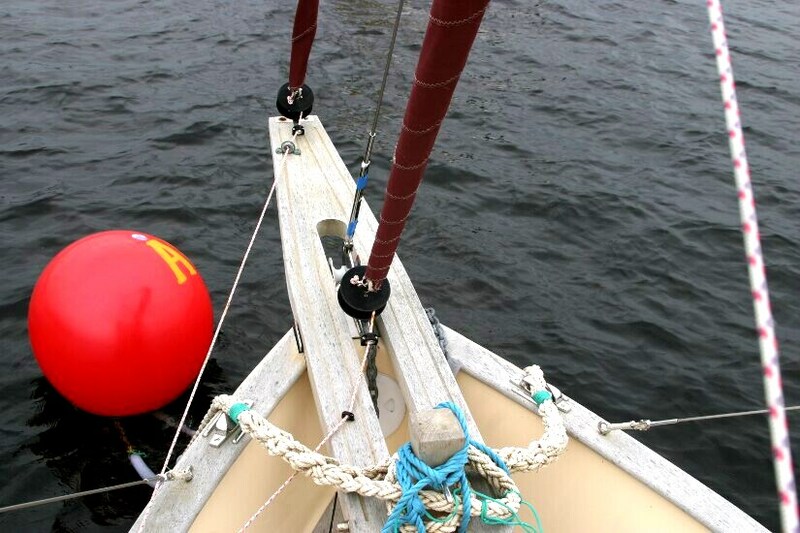 Easy to handle, a dream to sail and economical to run. 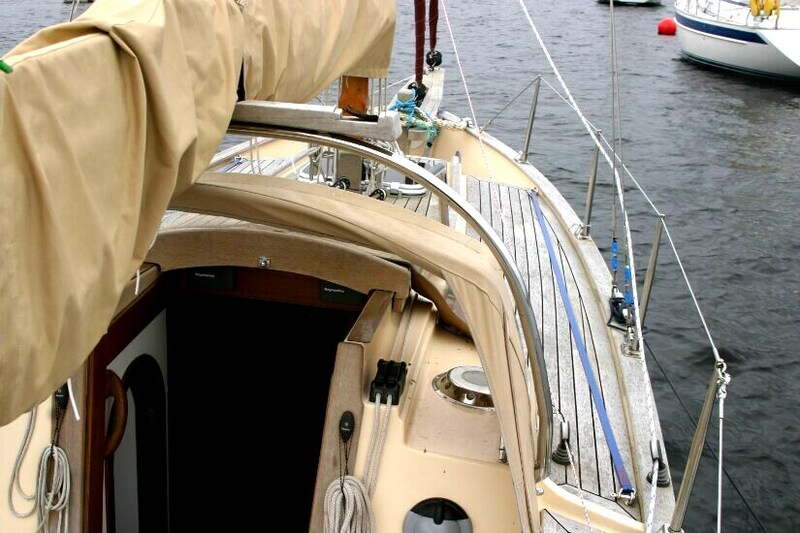 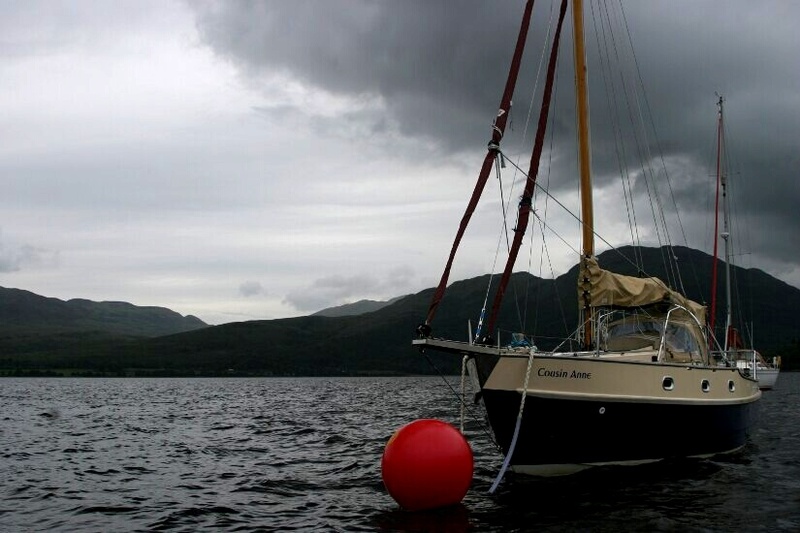 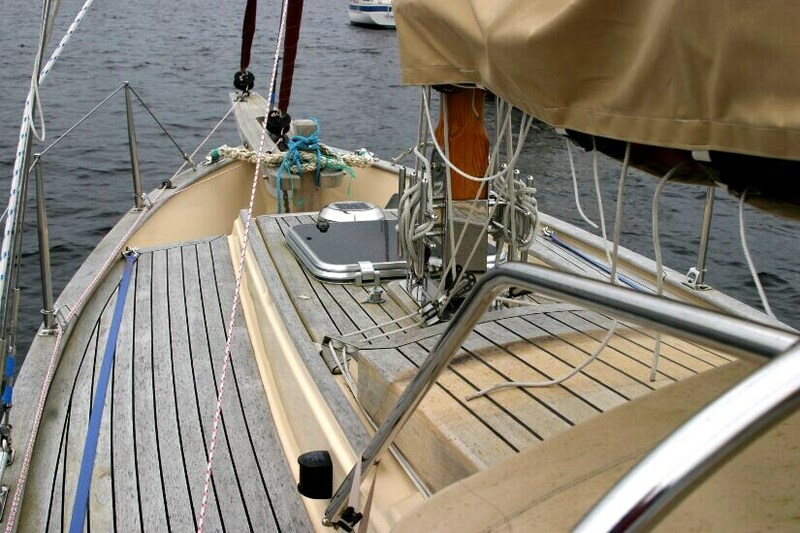 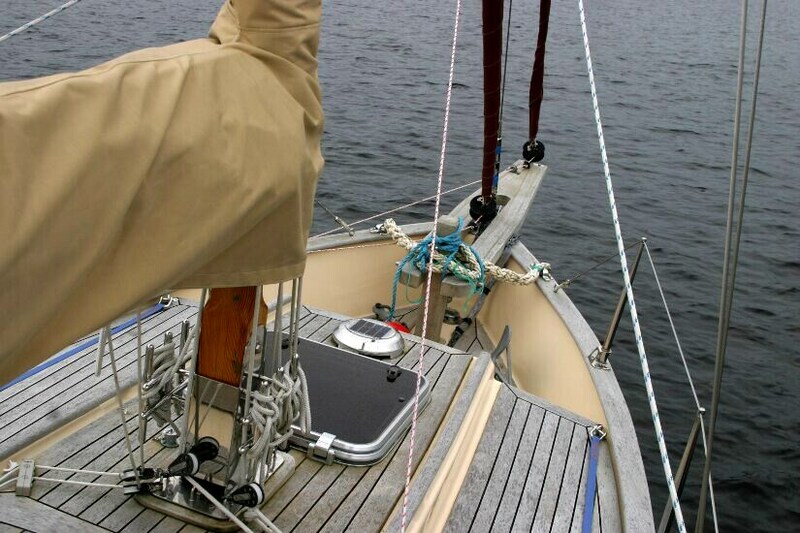 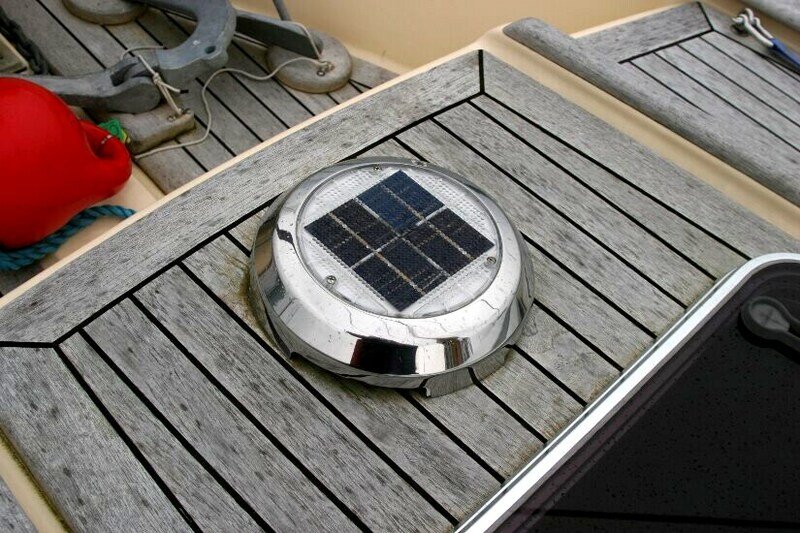 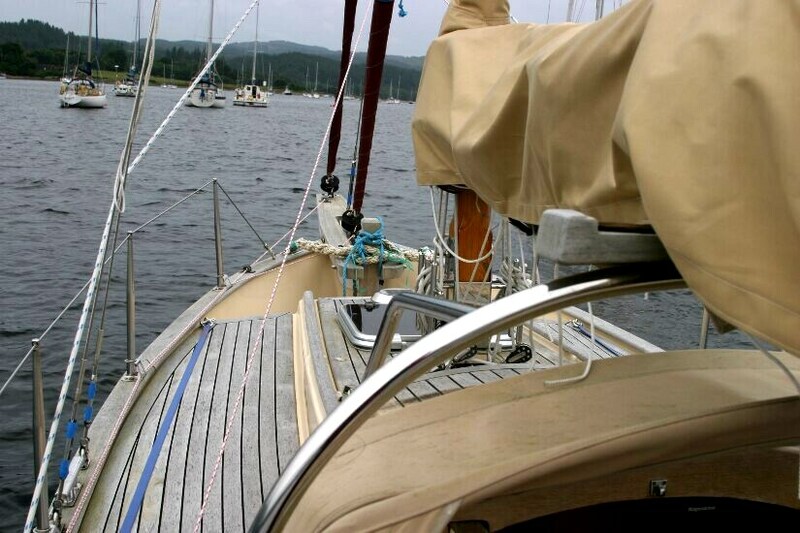 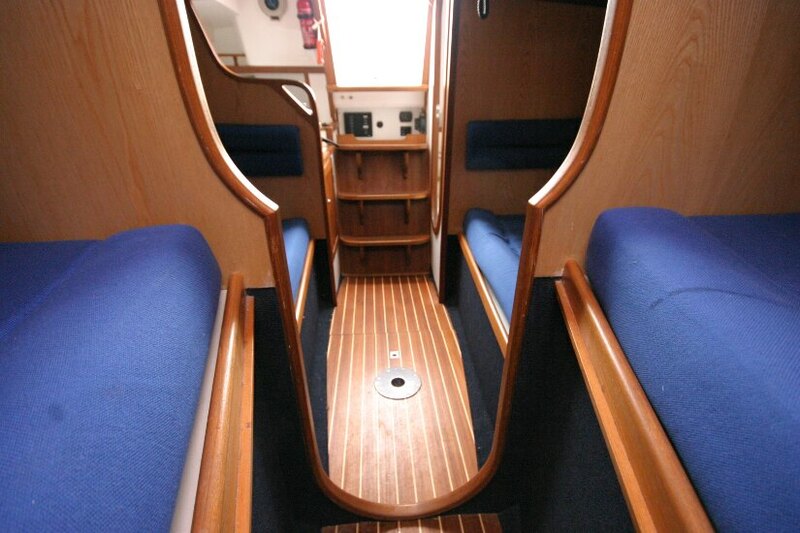 She is a substantial, and safe cruiser for the discerning, traditionally minded sailor. 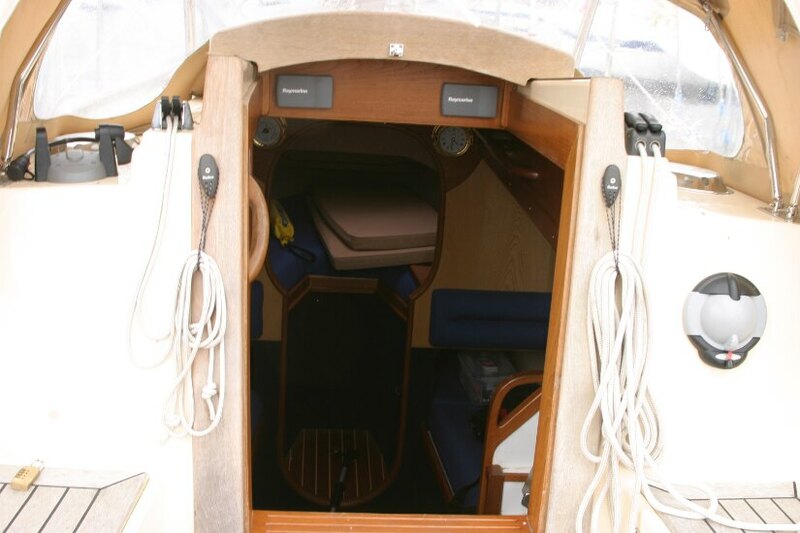 She has been professionally maintained and over wintered inside. 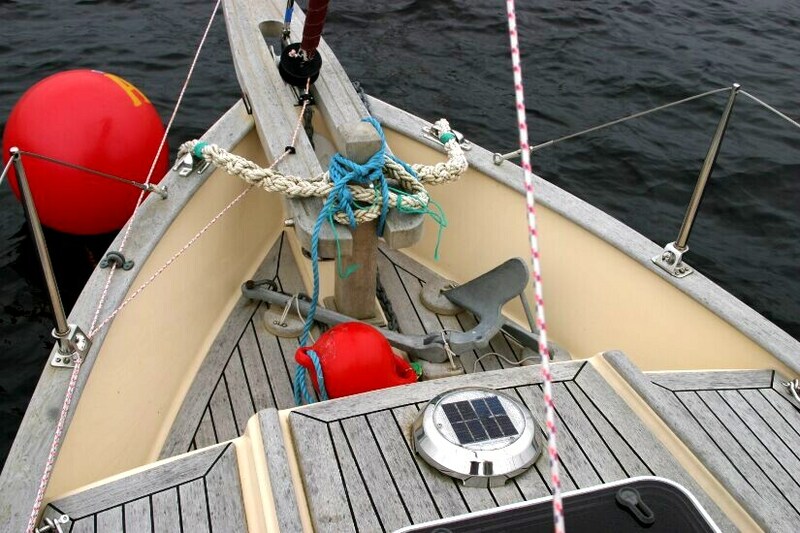 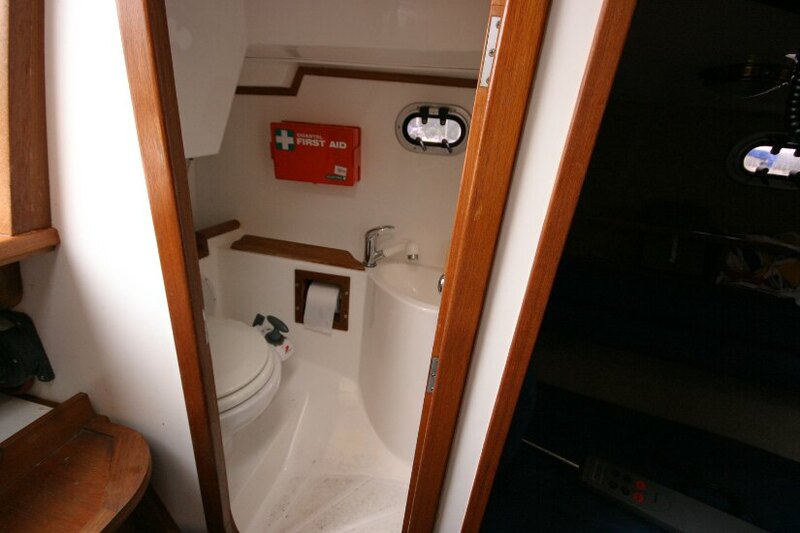 Unlike other similar boats, she is designed as a "proper sea-boat". 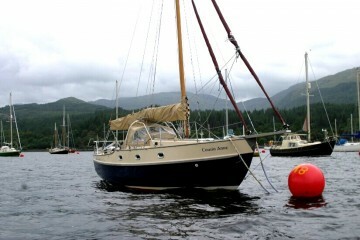 One of the Fisher family of yachts, by Wyatt and Freeman, with the same attention to seaworthiness as her bigger sisters, the Fisher and the Cromarty. 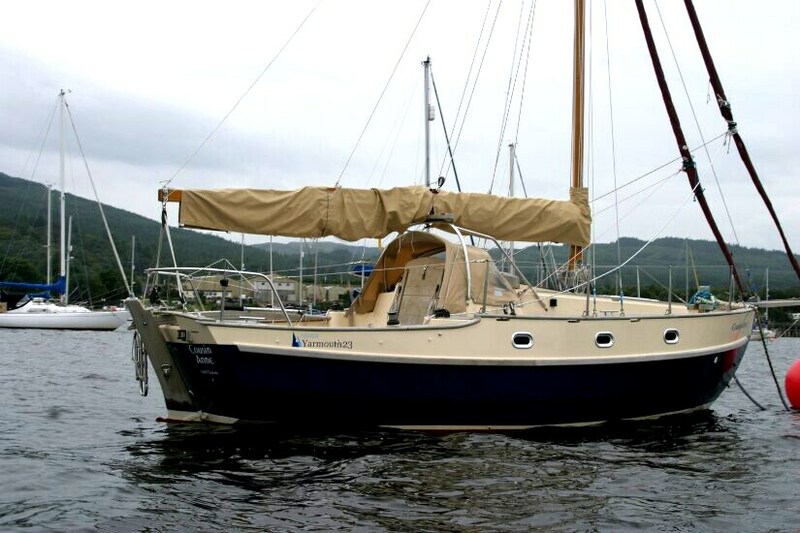 The owner, very impressed with her build quality and performance has now moved up and bought a Fisher 34 so is open to offers on this wonderful sailing yacht! 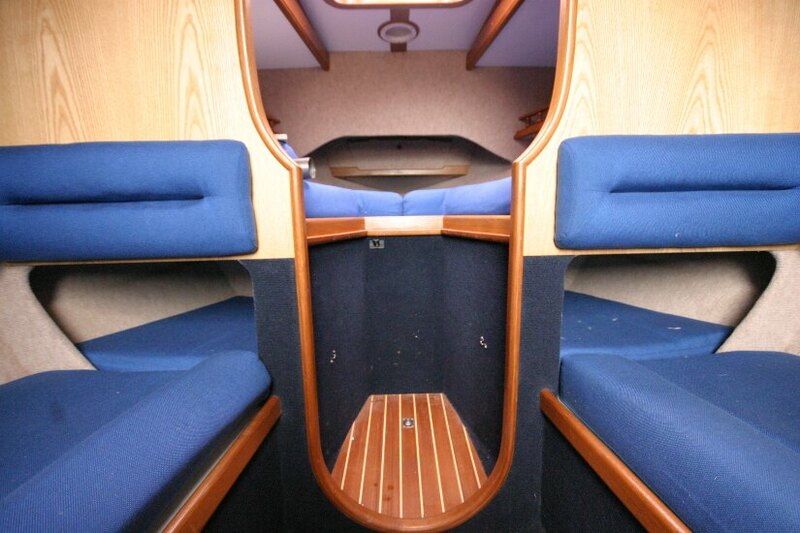 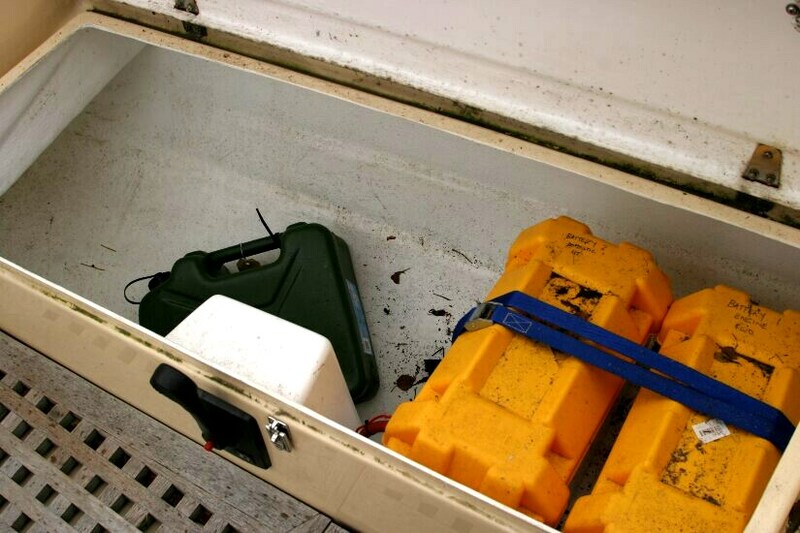 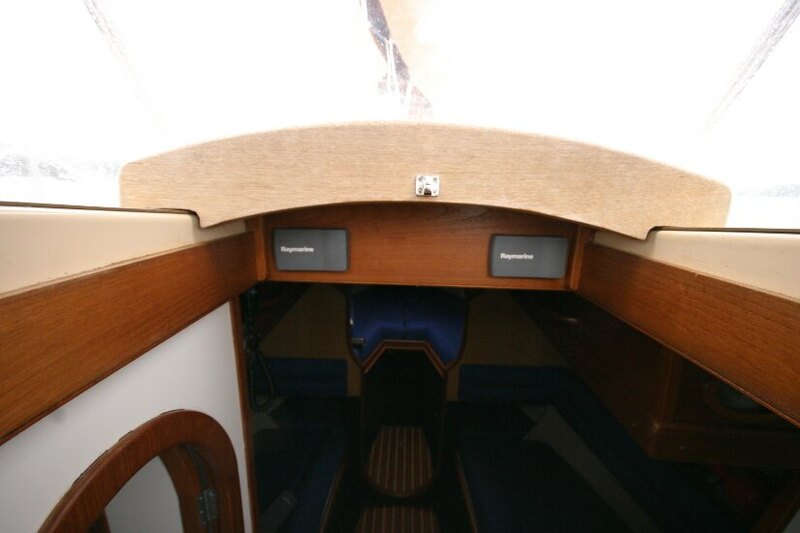 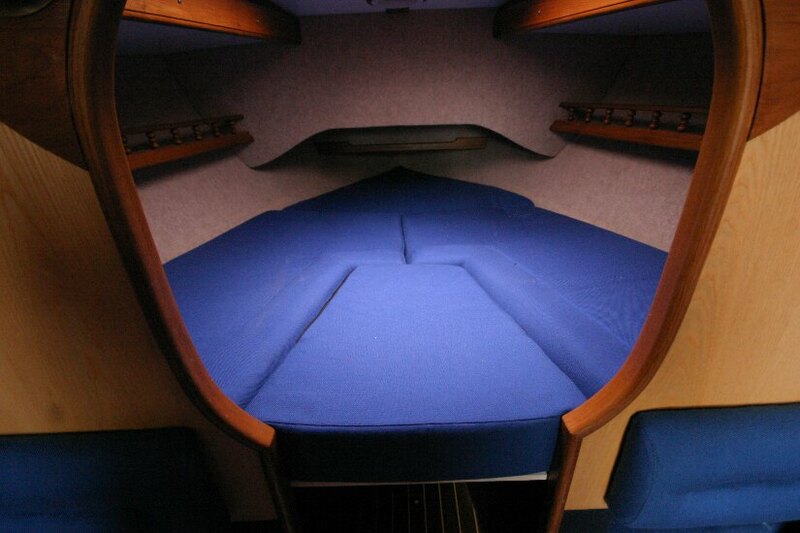 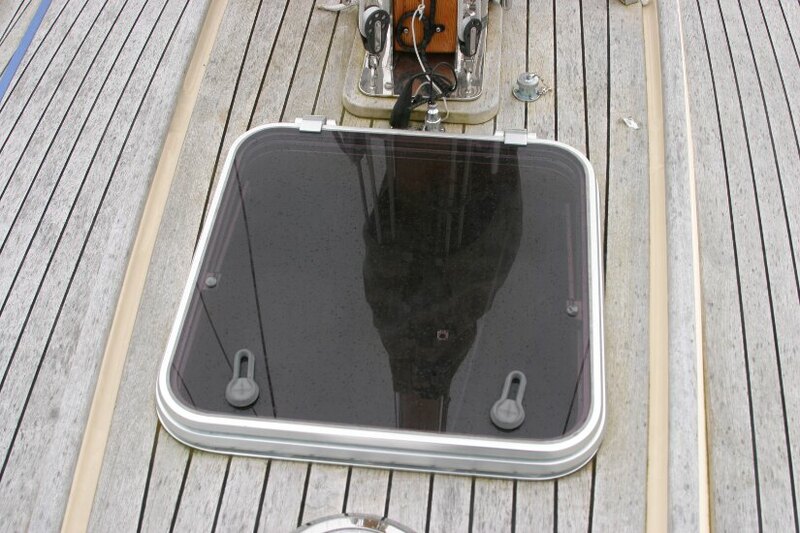 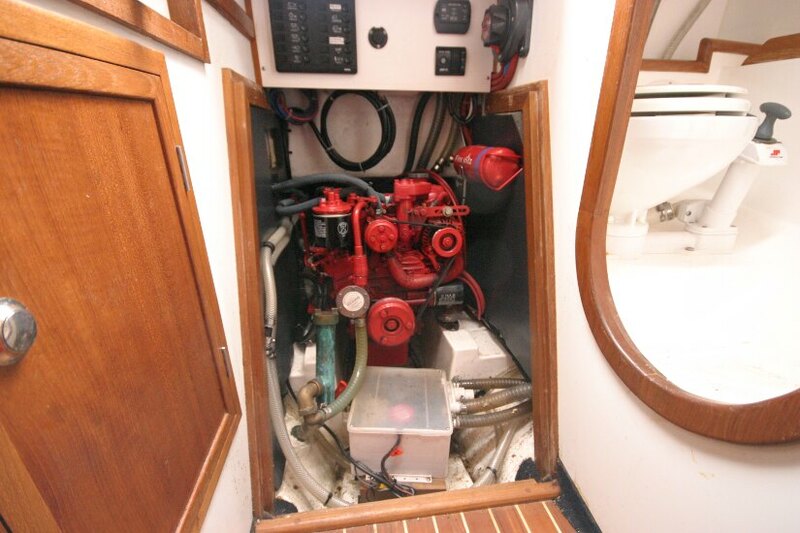 She has an amazingly roomy layout, over 6ft of headroom beneath the main hatch. 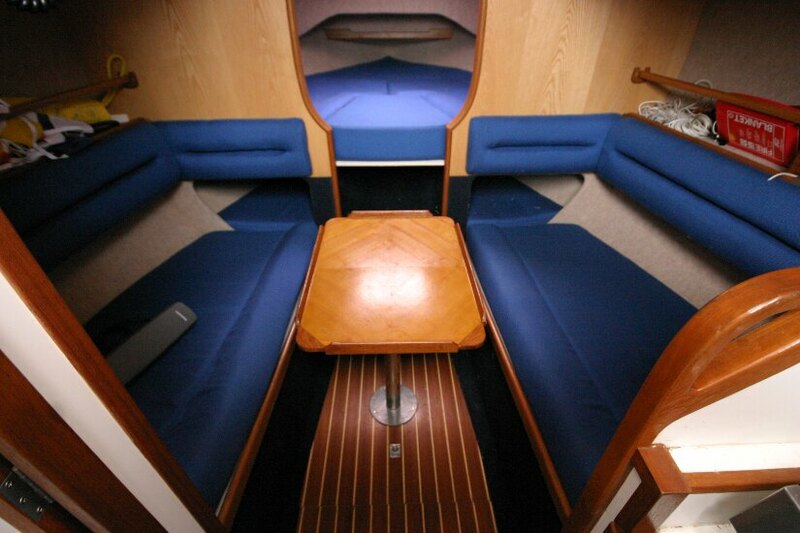 There four good berths. 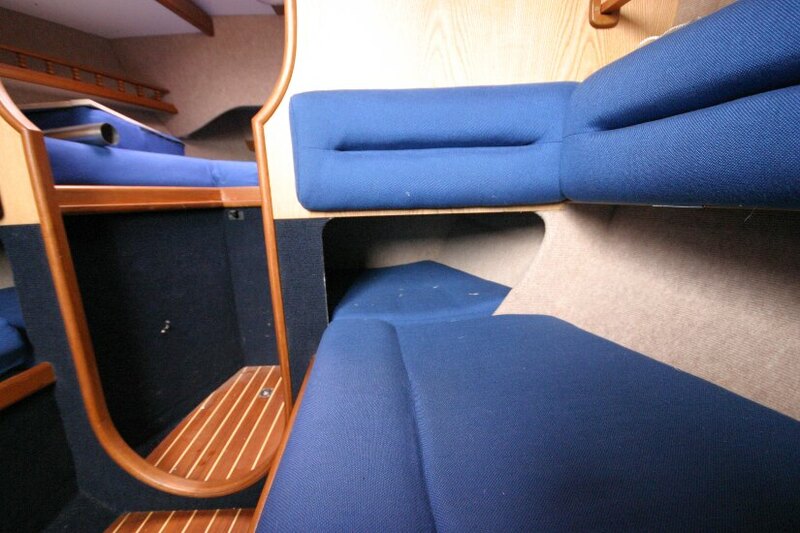 The forward berths are 6ft 4 inch, while the berths in the main saloon with foot extensions under the forward berths are 6ft. 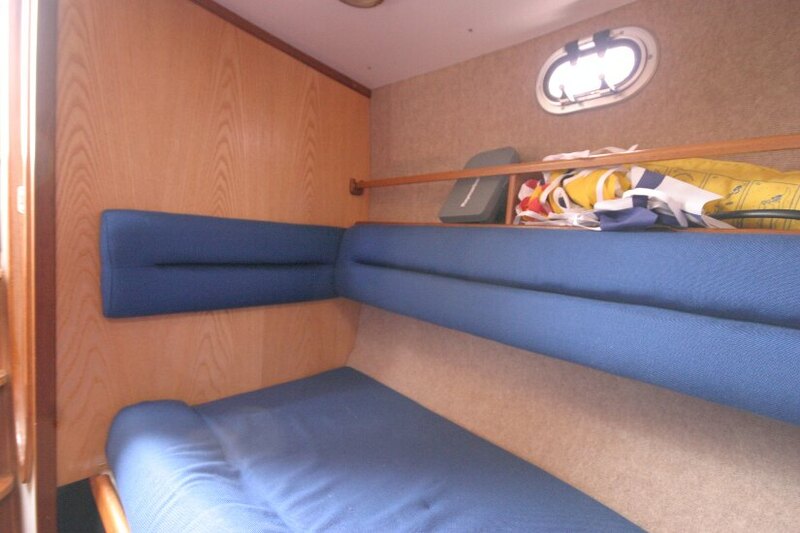 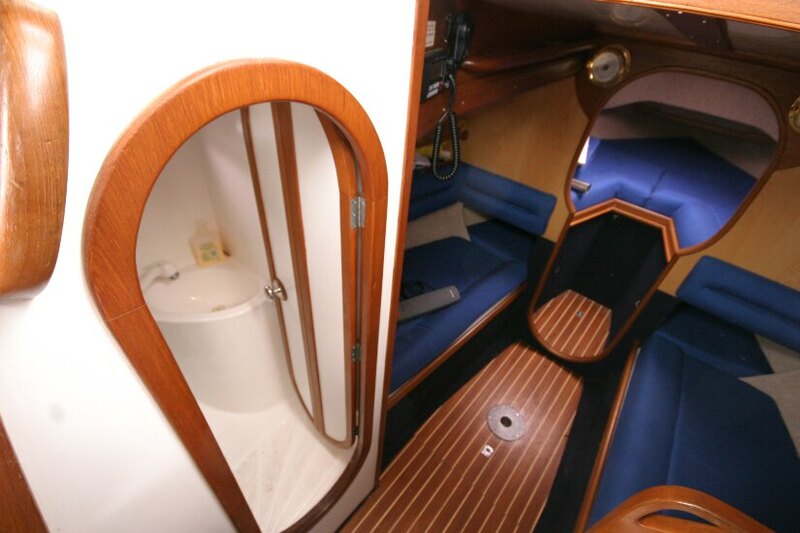 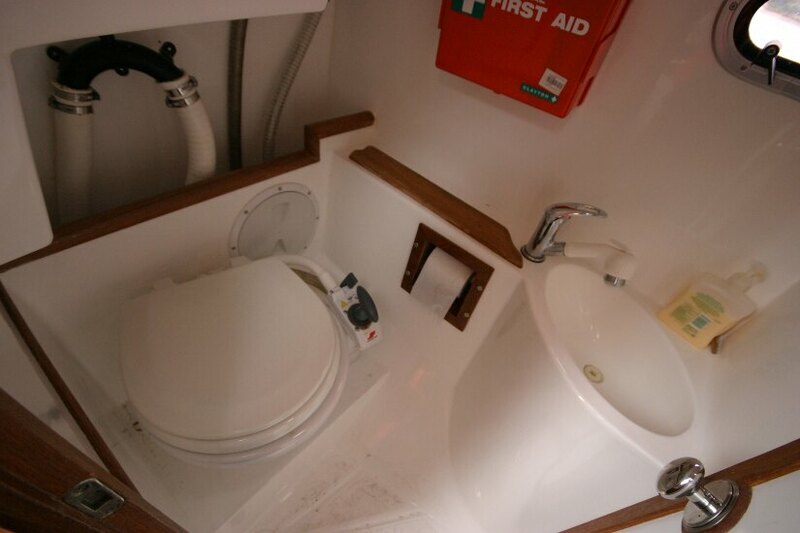 The private small and cosy heads are functional, with sea toilet, shower and small basin. 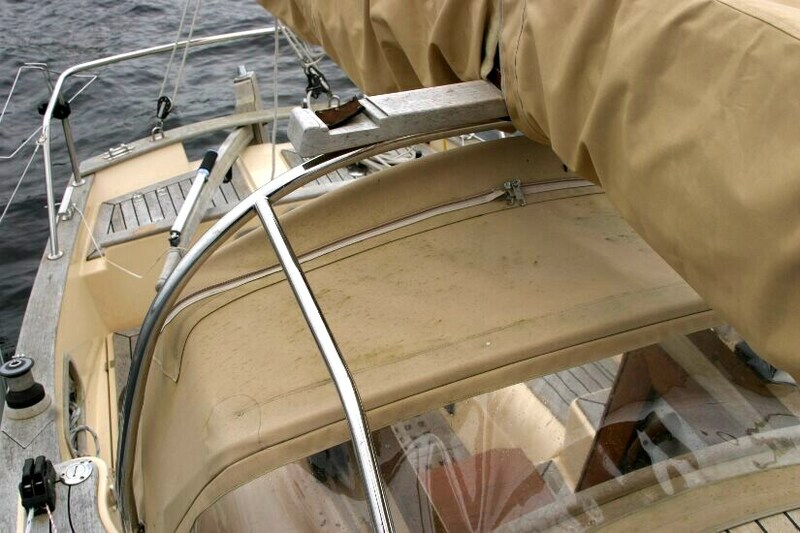 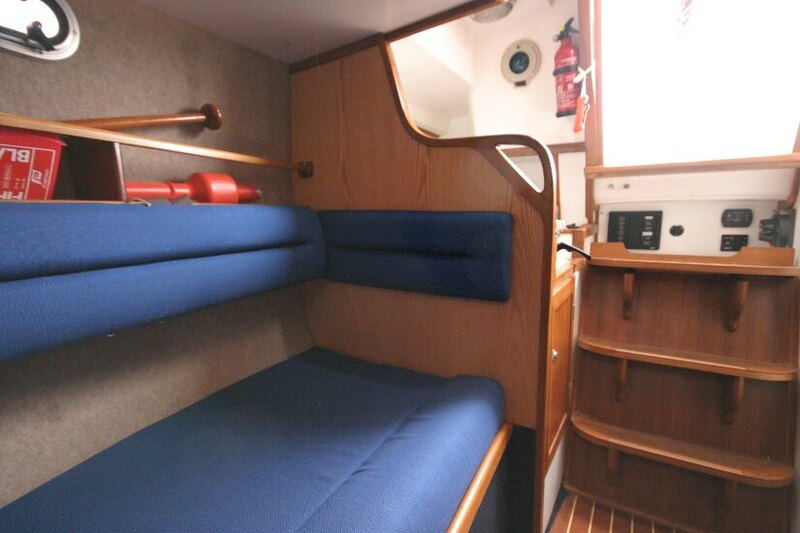 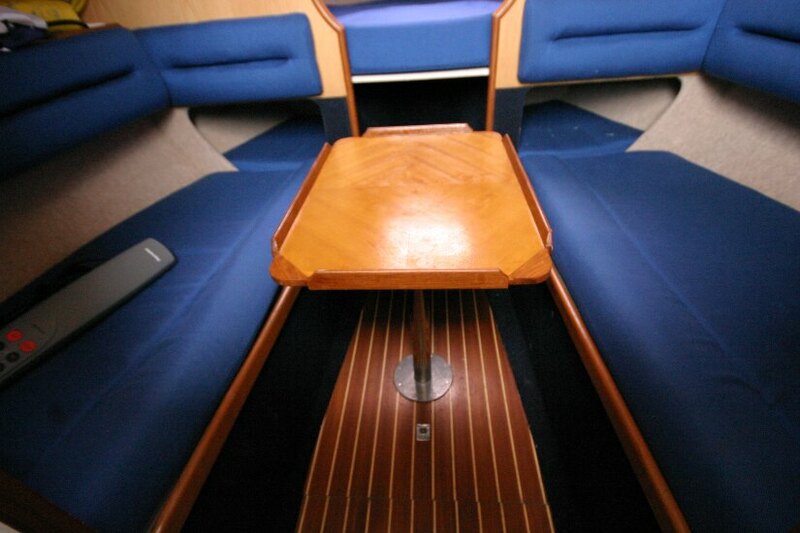 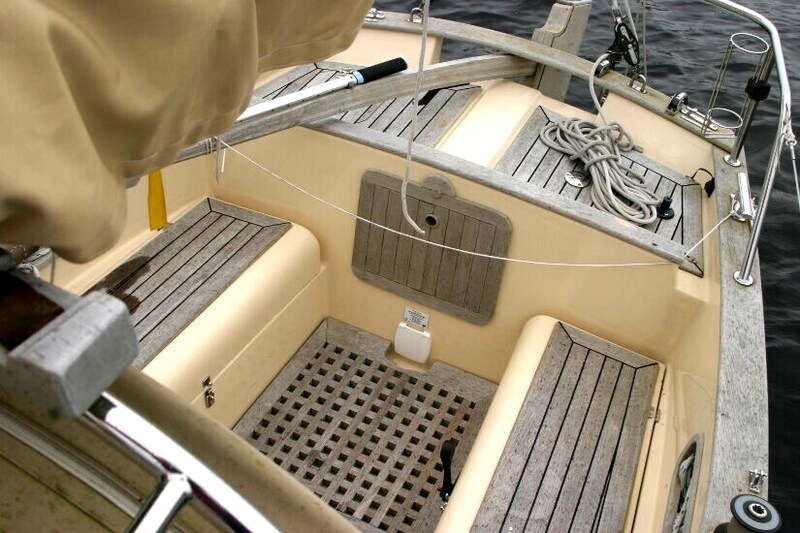 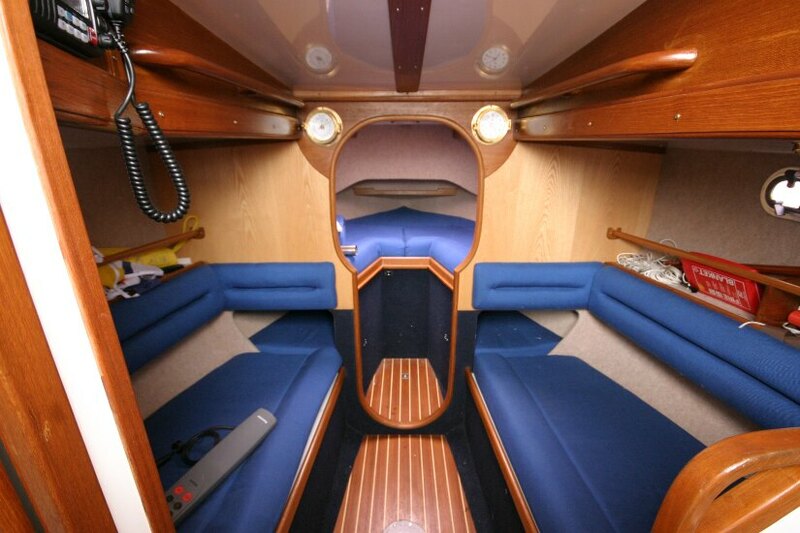 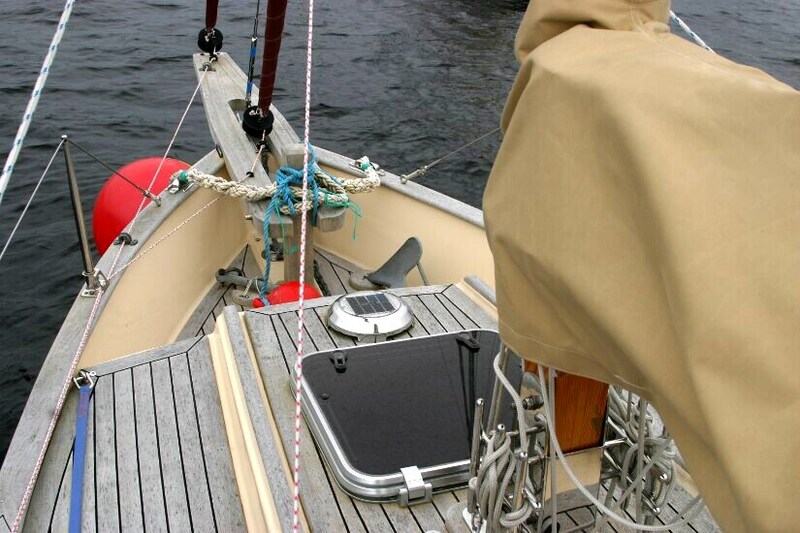 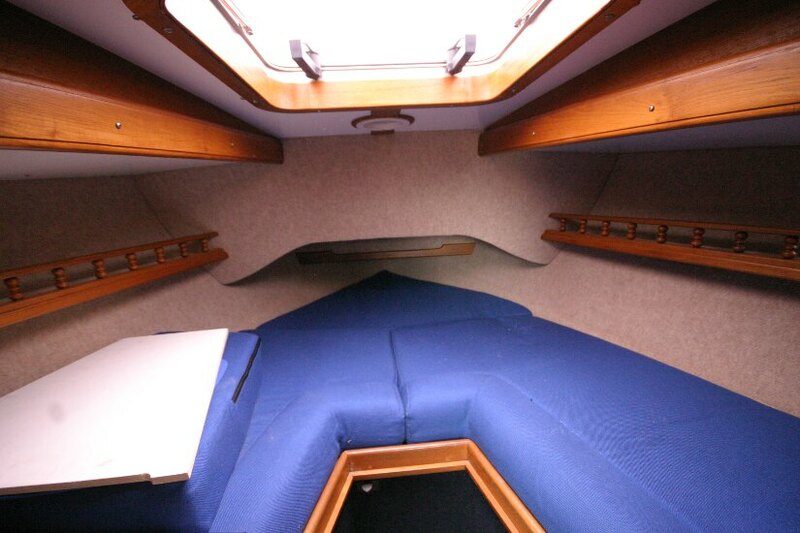 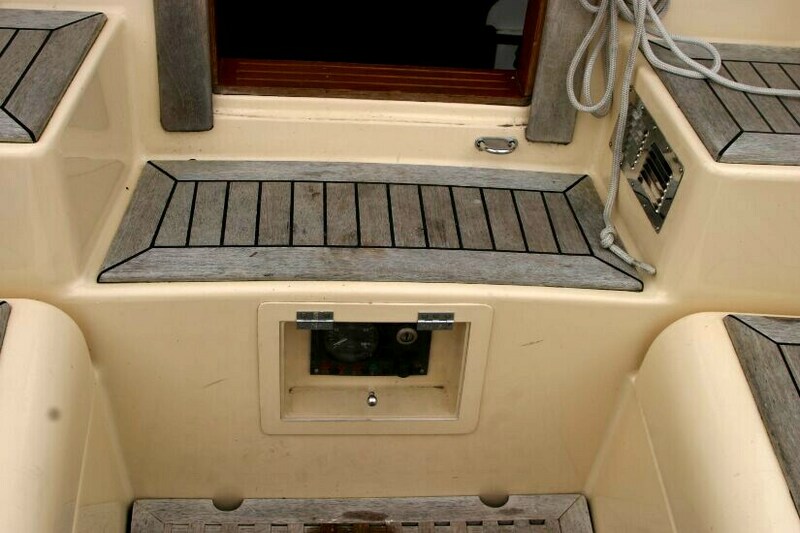 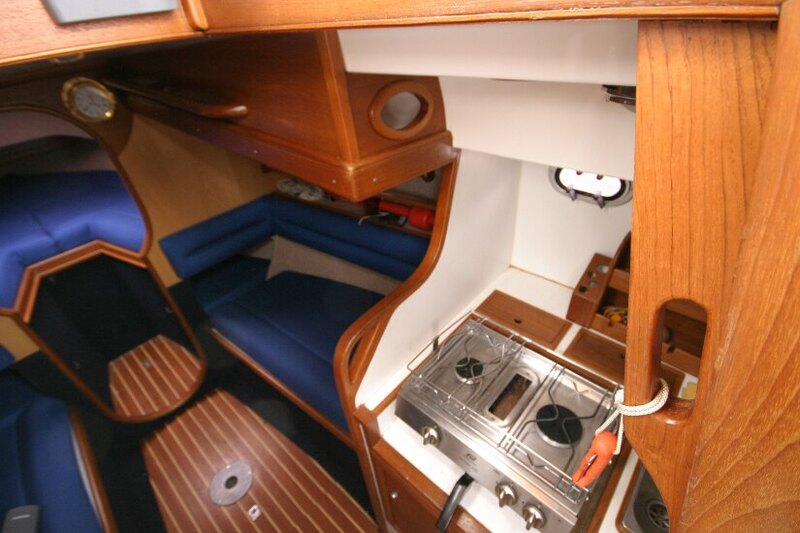 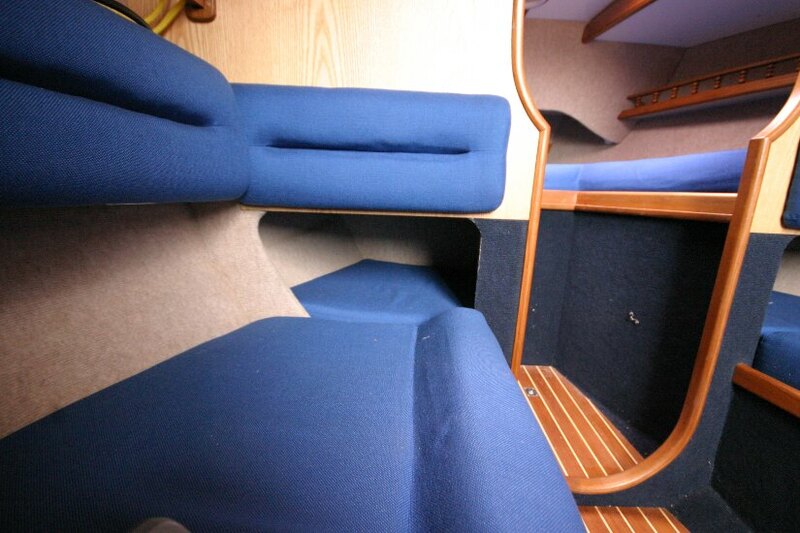 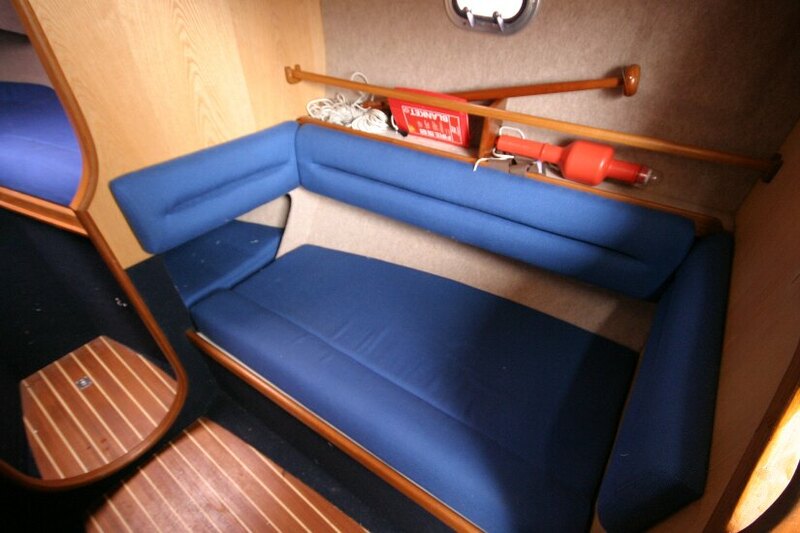 There is also ample dry storage below the berths, and neatly hidden lockers behind the seat backs, and a clever moveable dining or chart table for use inside or out. 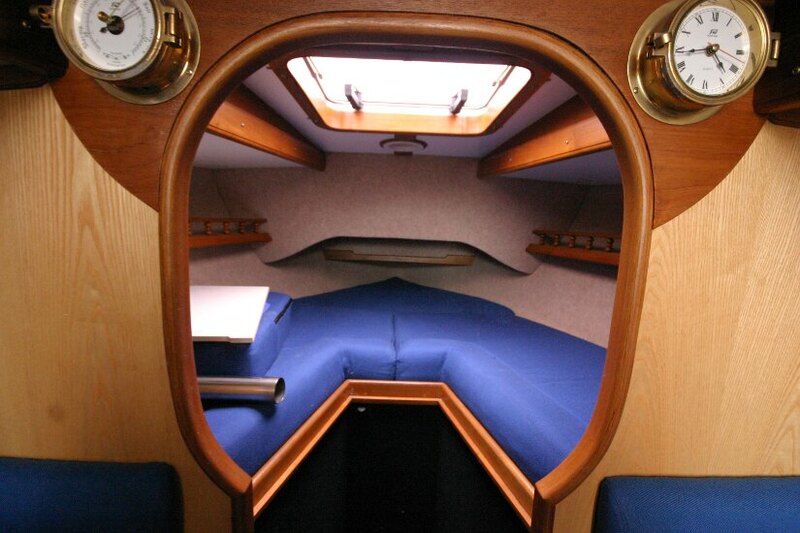 All portholes are opening, and the esacape hatch, in the forecabin ,which includes natural ventilation, brings in plenty of natural light. 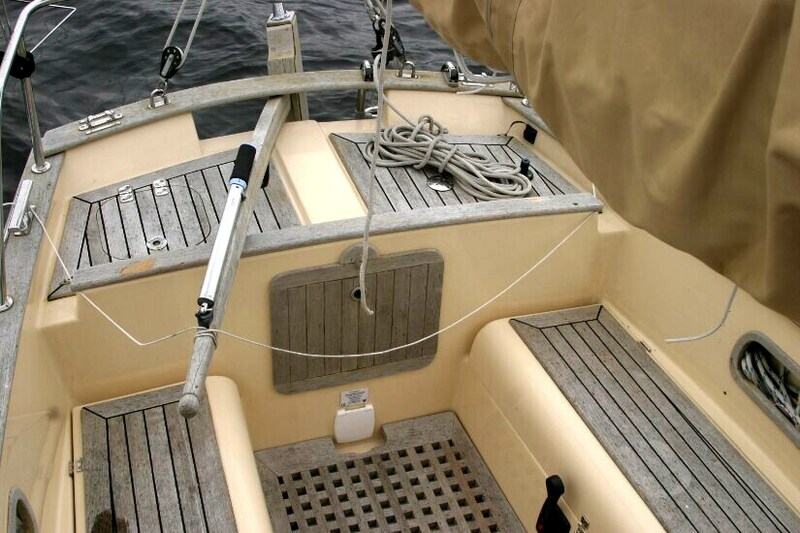 The finish throughout is superb. 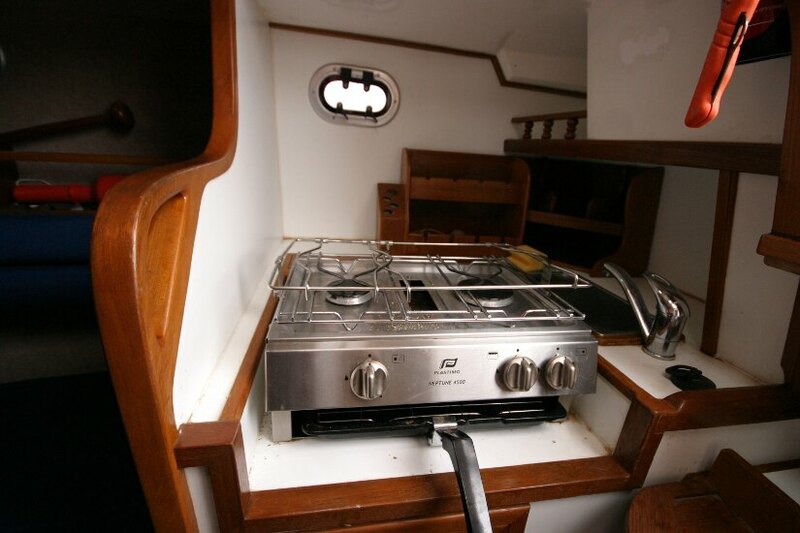 In the galley there is a sink with pressurised water and gas hob with grill. 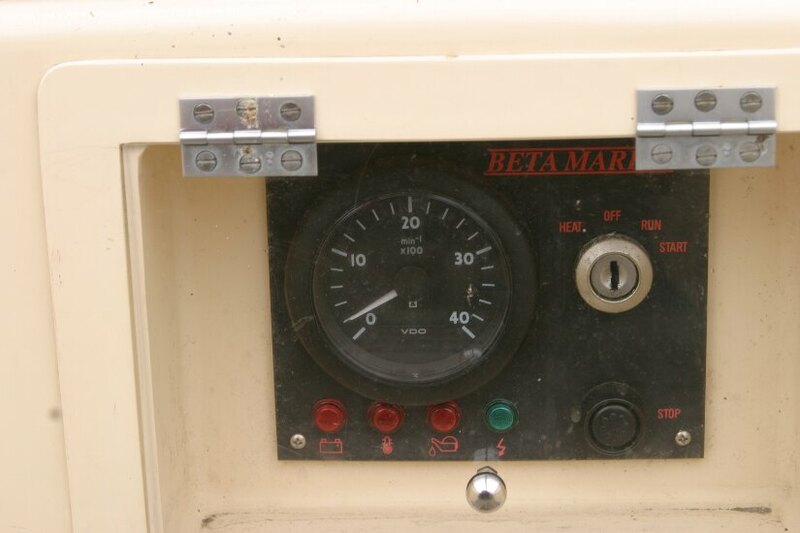 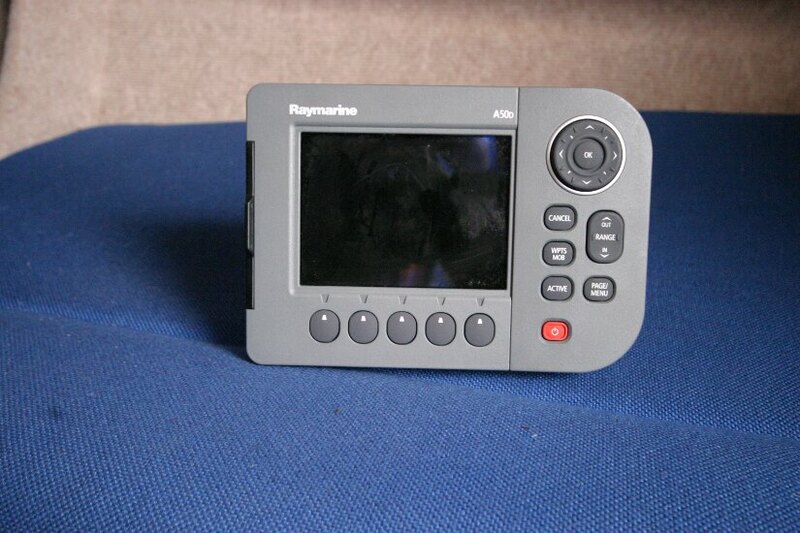 Raymarine plotter; a Raymarine auto helm; depth sounder. 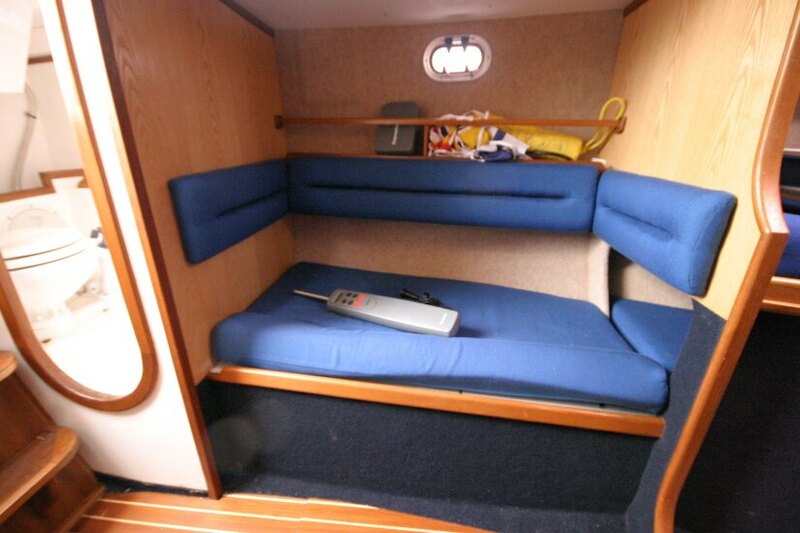 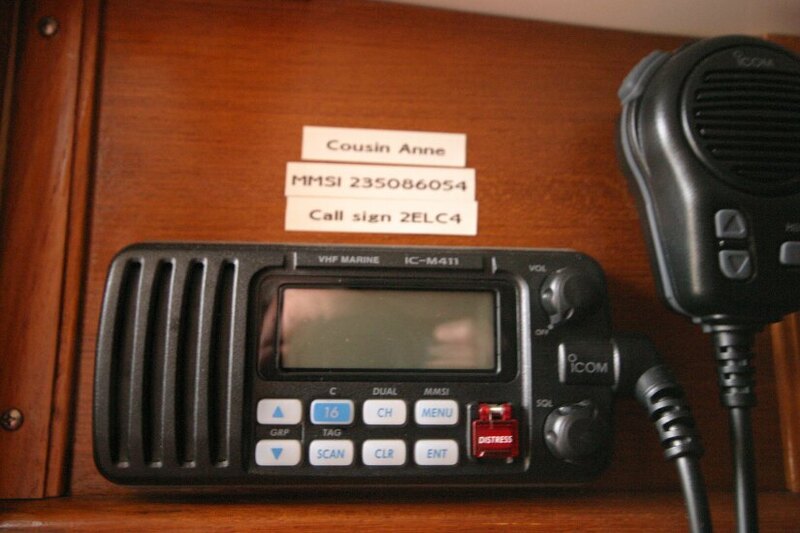 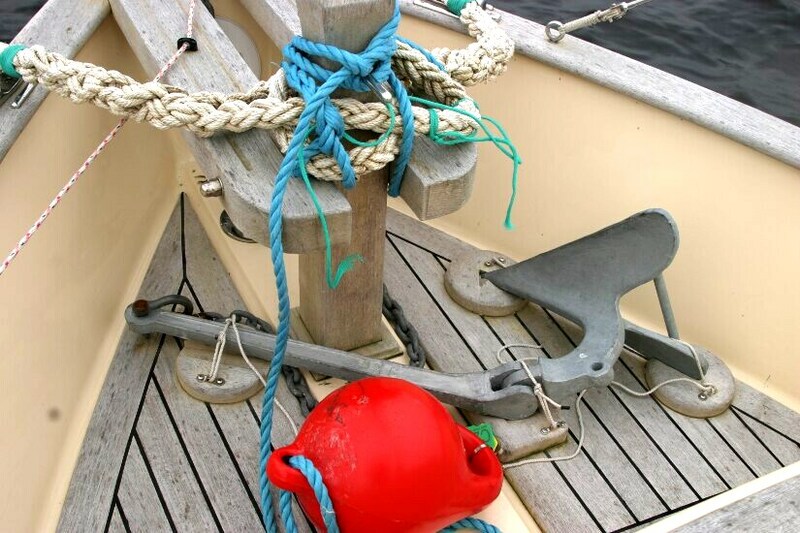 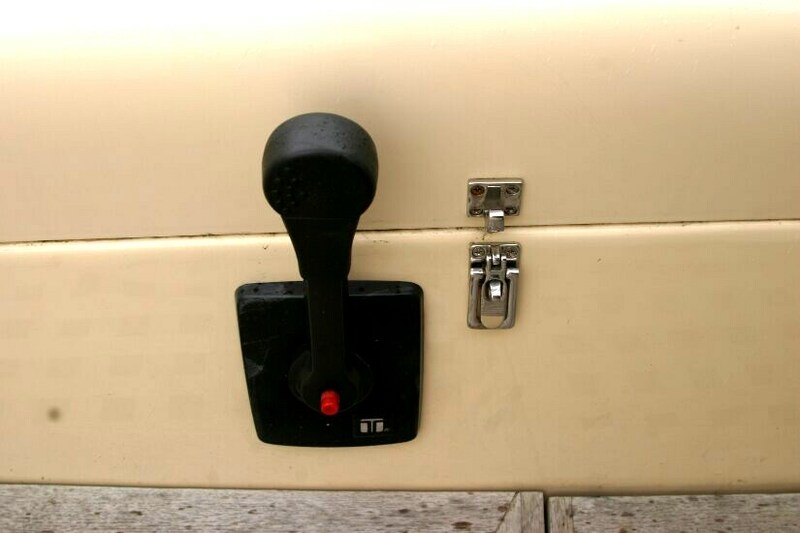 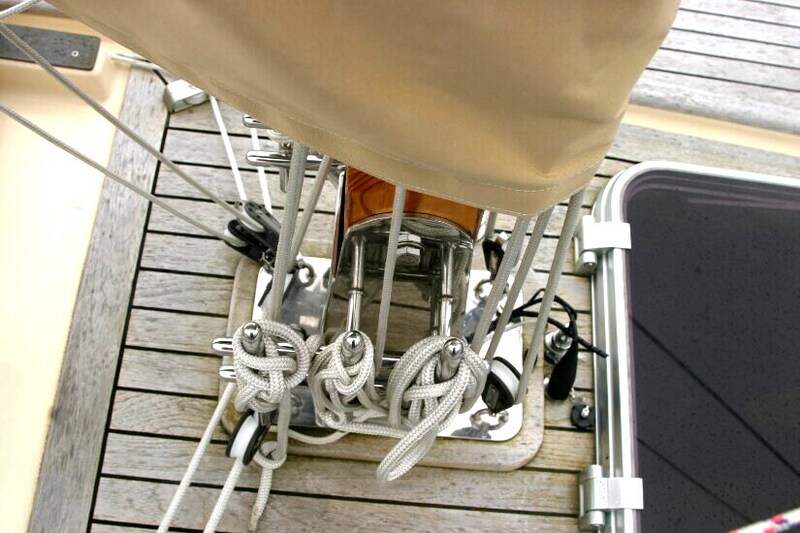 Fenders, warps, fire extinguishers, VHF radio. 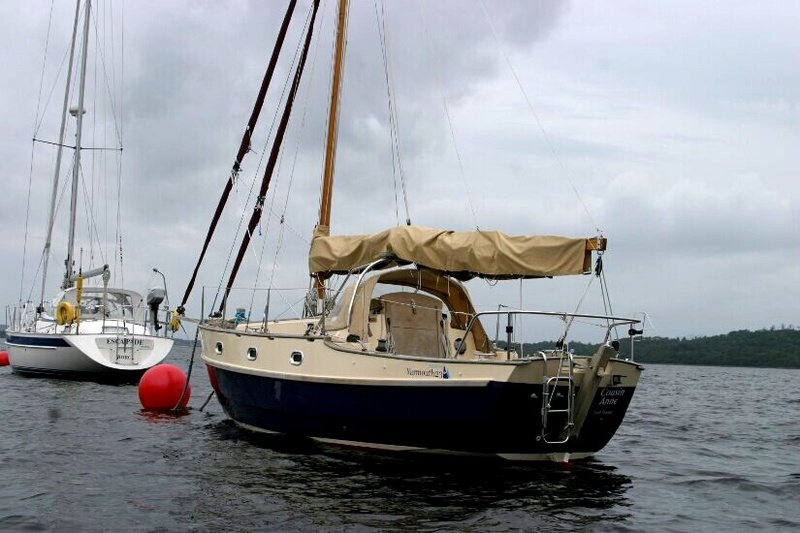 This boat is no longer for sale and remains here solely as an information resource for those researching Fisher Yarmouth 23's.